Road trips are like the slow-mo-video of travel experiences. Rollerbag Mom points in the direction we were headed: San Diego! Ain’t she sweet? Photo by Charish Badzinski. You pile your personal items into a car, pack a cache of road snacks and drinks, squeeze yourself in between and among others, flip open your road atlas and pluck some good tunes from your prime picks. You roll down the windows and let your hand ride the wind. You hunker down for a high stakes game of Hey Cow or The Name Game or the License Plate Game or Would You Rather. After more than 400 miles of driving, we’d eventually wind up here, in San Diego. ourselves along the way. Photo by Charish Badzinski. You do this, because road trips are best when they are savored. You do this, because for once, it’s not about getting to where you’re going as quickly as possible. You do this because road trips are as much about the journey as they are the destination. 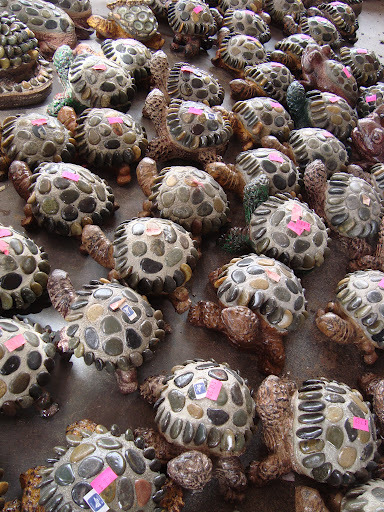 Turtles, embellished with stone, turned as if migrating toward the sun. 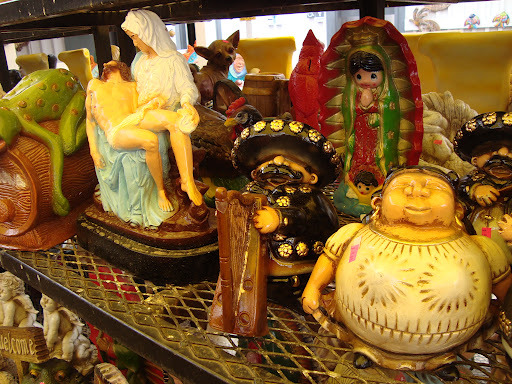 This curious parade can be found at a convenience store in Gila Bend, Arizona. The grooviest aspects of road trips, in my mind, are the random finds along the way. On a recent road trip heading west, my travel companion (Rollerbag Mom) and I encountered a couple of oddities, and though not of the “World’s Largest Ball of Twine” variety, they were unique enough to enrich our trip. Truth be told, you can find curiosities on any road trip; you just have to look for them. 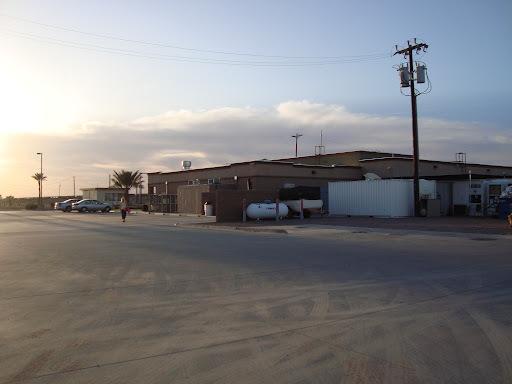 In Gila Bend, Arizona, we stopped to stretch our legs and marvel at the stone, shell and plaster figures on sale–seemingly apropos of nothing. Interesting product placement at the Gila Bend convenience store. and the depiction of La Pieta (left). Photo by Charish Badzinski. 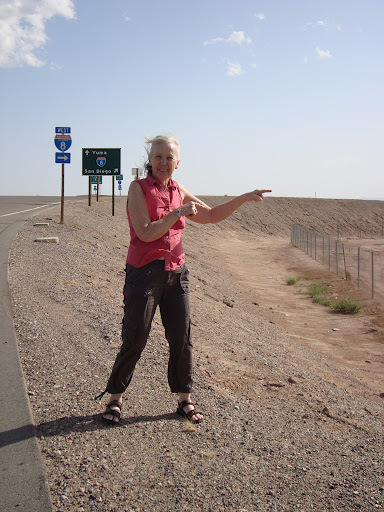 Later in the same trip, we pulled off the highway in Dateland, Arizona, home to about 100 palm trees and a Travel Plaza that claimed to have World Famous Date Shakes. The Dateland Palms. Photo by Charish Badzinski. from Tucson to San Diego. Photo by Charish Badzinski. World Famous Date Shakes? You decide! (I thought they were delicious!) Photo by Charish Badzinski. 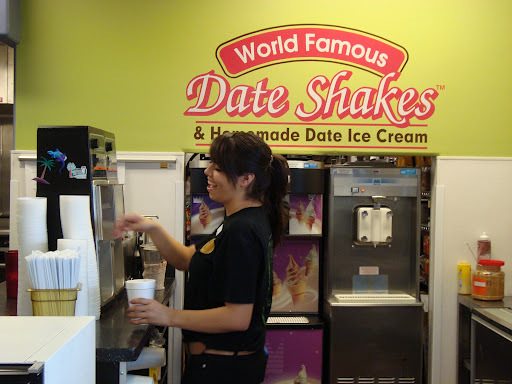 I had heard of neither date shakes nor Dateland, so this claim seemed a bit dubious. 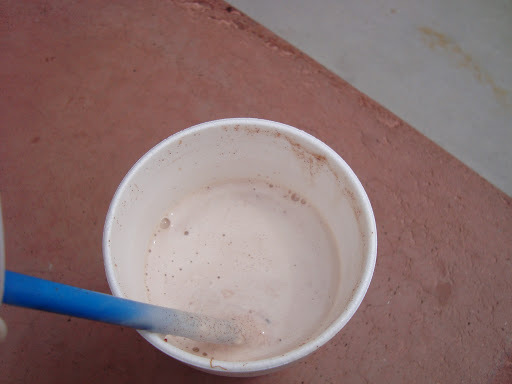 However, after trying said date shake, I would agree it is quite delicious and worthy of worldwide fame. 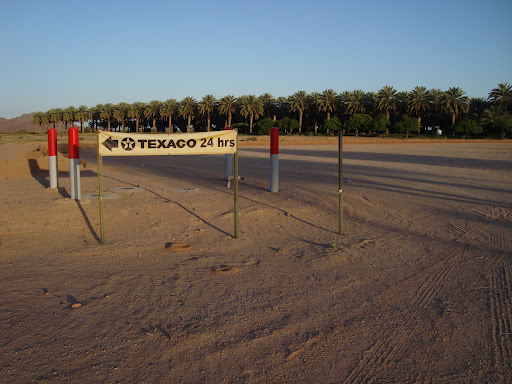 It’s a bit of a foodie revelation, in the middle of the desert. The World Famous Date Shake. Photo by Charish Badzinski. It was malty tasting (Rollerbag Mom thought it tasted like whiskey, but whatever!) and satisfying, with little chunks of date skins throughout. It was so good, I picked one up both ways. 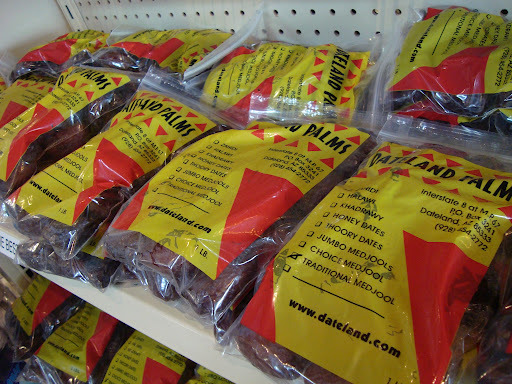 Of course, you can also buy fresh dates at the Dateland Travel Plaza. If dates aren’t to your liking, perhaps cheddar cheese larvets are more to your taste. 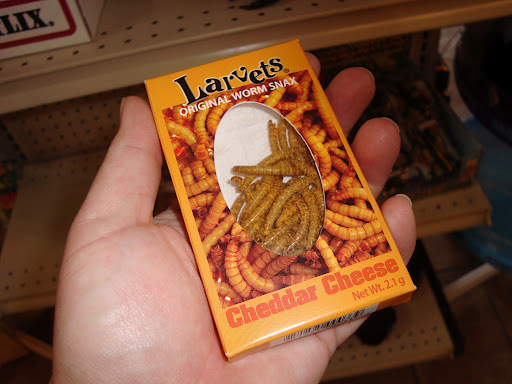 Sour cream and onion crickets are also available at the Dateland Travel Plaza. Photo by Charish Badzinski. 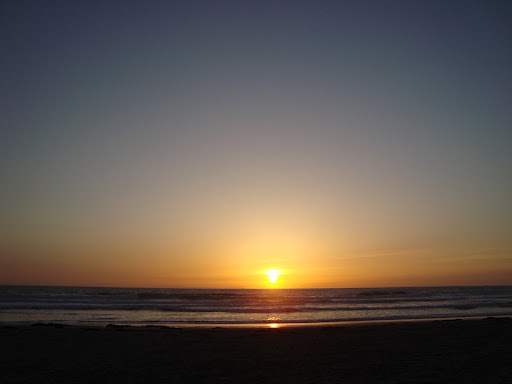 Our final destination was San Diego, and when our time there drew to a close, Mom reminded me that the trip wasn’t over; we still had the road trip home. Thank goodness I have her in my life to set me straight. Because if you focus on the destination as the be-all, end-all, you run the risk of missing heaps of good stuff in the meantime. Not just balls of twine or concrete turtles or flavored larva or date shakes, but deep conversations and belly laughs and stories that remained untold until that moment. Stories you might never have heard if you’d been in a rush. In travel, as in life, it truly is all about the journey. What roadside attractions have you discovered? What do you love best about road trips? 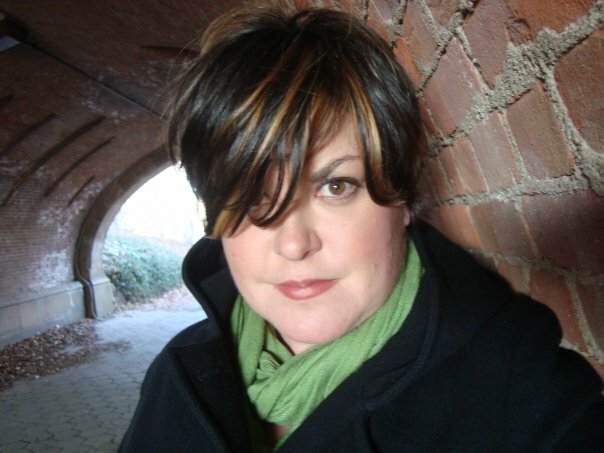 Charish Badzinski is an explorer, foodie and award-winning travel and food writer. When she isn’t working to build her blog: Rollerbag Goddess Rolls the World, she applies her worldview to her small business, providing strategic communications, media relations and writing support to individuals and organizations. Based on a work at rollerbaggoddess.blogspot.com. John, this is unbelievable! Can you hear me laughing 400 miles to the east?